The world of workplace design is continually evolving, and at Work Design Magazine, we’re always working to stay on top of current trends. There’s an increased merging of contract and residential design elements in the projects we profile and across related media coverage of workspace design. Being curious, we’ve reached out to several companies to find out their thoughts on this growing trend. 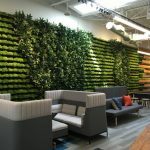 Most recently, we spoke with Michael Chaney, Director of Business Sales for Crate and Barrel and CB2, who provided us with his unique perspective on providing product for commercial spaces. The Crate and Barrel family of brands is building a sales bridge between residential and commercial customers. The company’s business sales have doubled over the past two years, growing organically from a niche that originally focused on corporate gifting. Customers wanted to bring the same Crate and Barrel aesthetic they were enjoying in their homes to their work spaces. The opportunity to assist existing customers and reach new ones in the business and A&D communities has lead to an increased offering in products and services for any order, regardless of size, scale or delivery logistics. Of course, selling to corporate and other business clients has different requirements than residential customers. To answer those needs, Michael has expanded the team, brought in more commercially tested and customizable products from an increased pool of vendors, and developed a dedicated concierge service to assist with the entire lifecycle of a project, from design and quote all the way through to delivery and installation. With all this in place, Crate and Barrel’s vision to expand their business platform and service the needs of the commercial customer is coming to fruition. The dedicated sales team has experience in commercial projects and is poised to offer a high level of service, including virtual room design, to the A&D and end-user communities. Crate and Barrel’s list of manufacturers with expertise in contract furnishings is also growing, and the product assortment will continue to evolve to include product with even more rigid contract furniture manufacturing standards (i.e., BIFMA), as well as the curated furniture and decor that can move into a commercial environment as is. A background infrastructure has been built to support all of this and manage the additional layers of coordination, potential customer needs and project scenarios, quantity of product, and increase in sales volume. Crate and Barrel recognizes that there is a broader market beyond the industry norm of Architect/Interior Designer specified product purchased through commercial furniture dealerships. There is an increased demand for a greater variety of product, and this team sees both the Crate and Barrel and CB2 product lines as extensions of the traditional contract furniture marketplace. The team is seizing the opportunity to offer high quality, on-trend, competitively priced furnishings and play a part in creating today’s efficient, productive, and comfortable workspaces. The existing network of Crate and Barrel retail stores and CB2’s increasing brick and mortar presence offers an established physical presence. In areas where there are limited contract showrooms, it is also a decided advantage for customers who want to evaluate a product in person before purchasing it. Crate and Barrel recently exhibited at the HD Expo and is looking forward to the upcoming BDNY event.